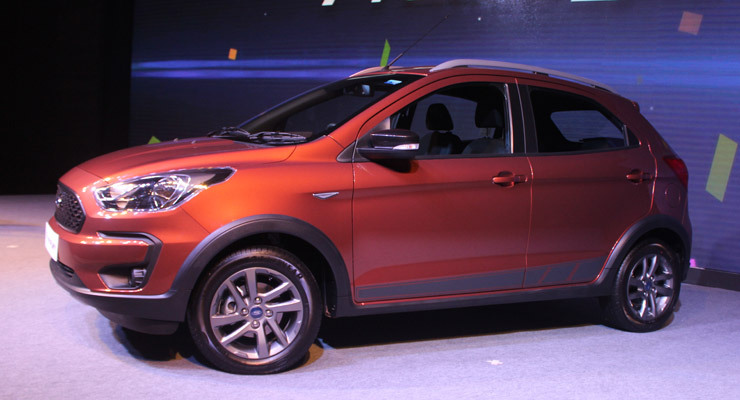 The new Ford Freestyle made its world debut in India earlier today. 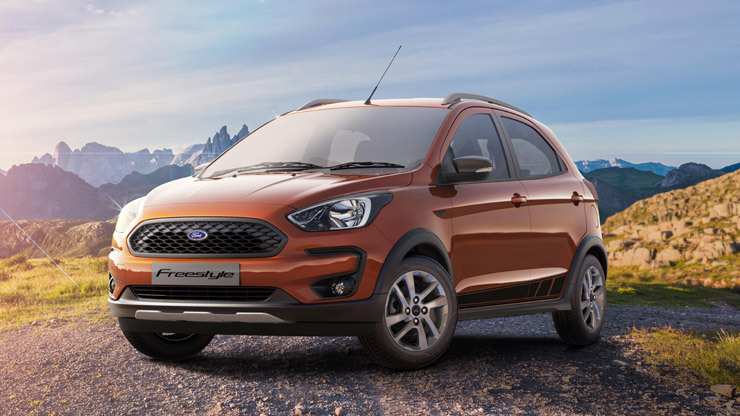 Essentially a rebadged Figo/Ka Cross, the car is a hatchback-based crossover, which will compete with the likes of the Toyota Etios Cross and the Hyundai i20 Active. 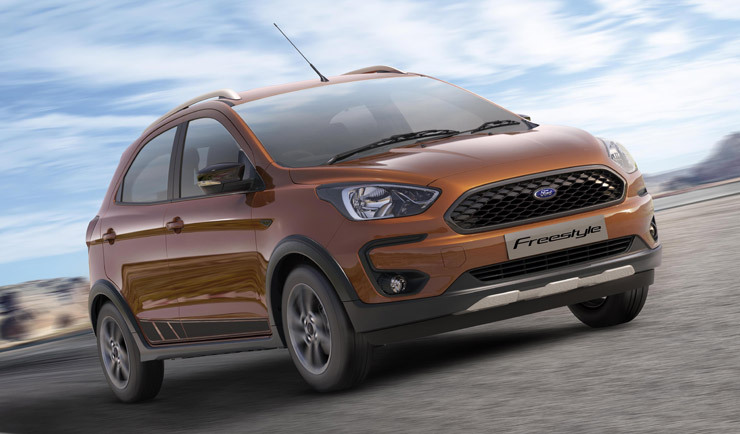 The Freestyle is based on the Figo hatchback, but with many stylistic changes and butch design elements. 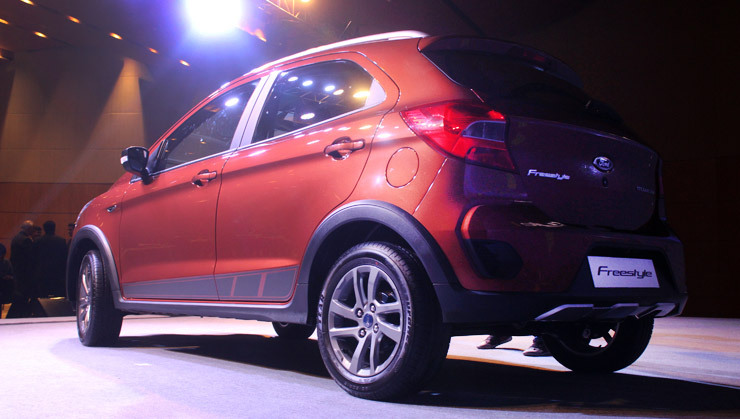 The car will be launched in India in April / May and that is when the official price announcement will also take place. 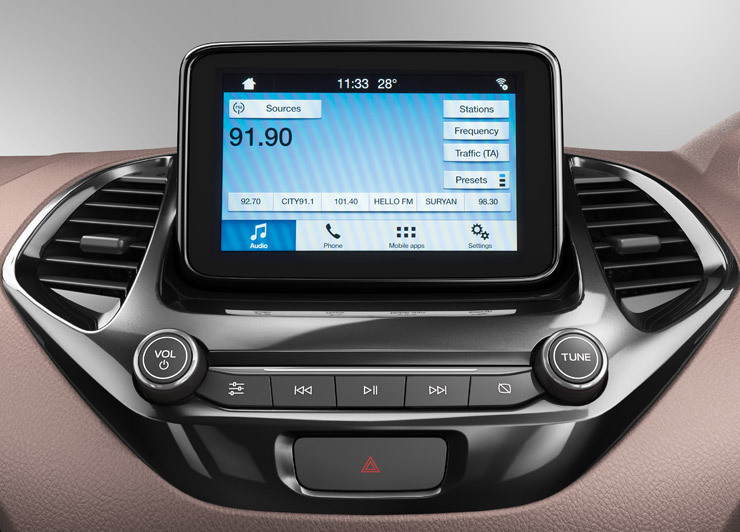 The Freestyle gets a new 6.5 inch touchscreen system with SYNC 3 interface. 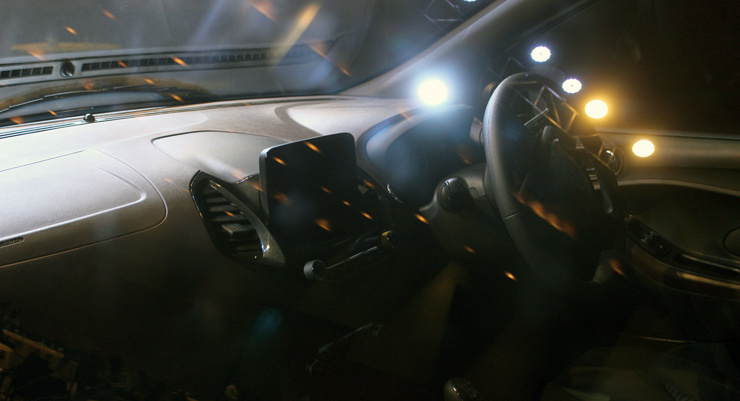 Both Android Auto and Apple CarPlay will be offered. 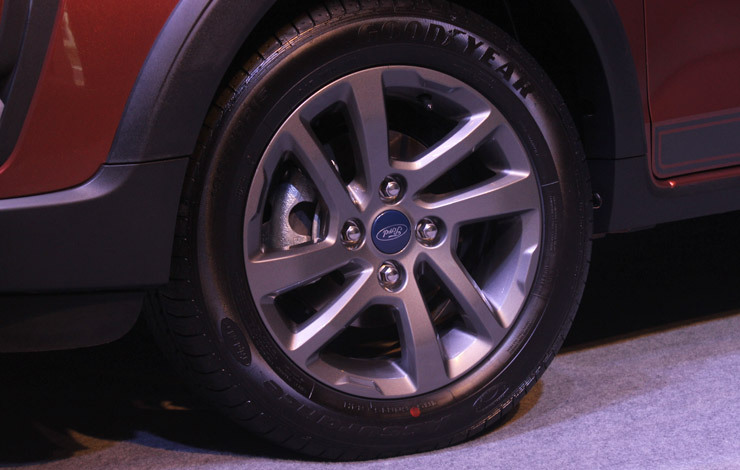 Ford claims the Freestyle will have the most responsive touch screen user interface. 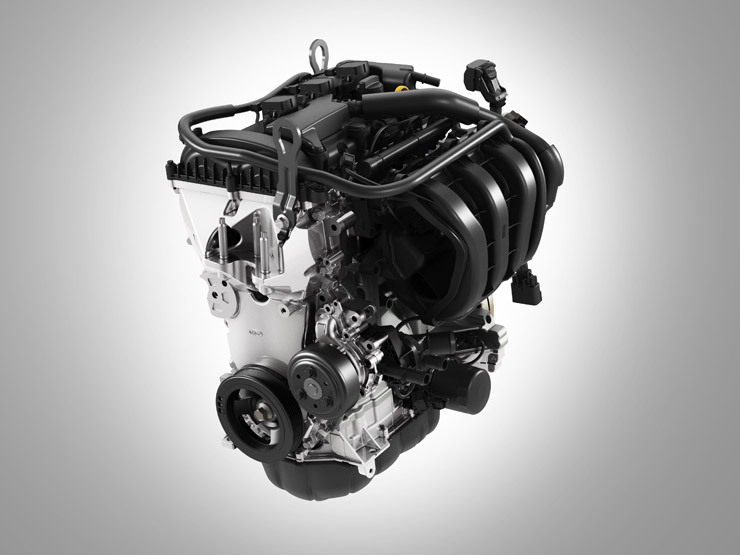 The all new 1.2-litre 3 cylinder petrol engine will debut on the Freestyle. It puts out class leading power of 96 PS along with 120 Nm of torque. 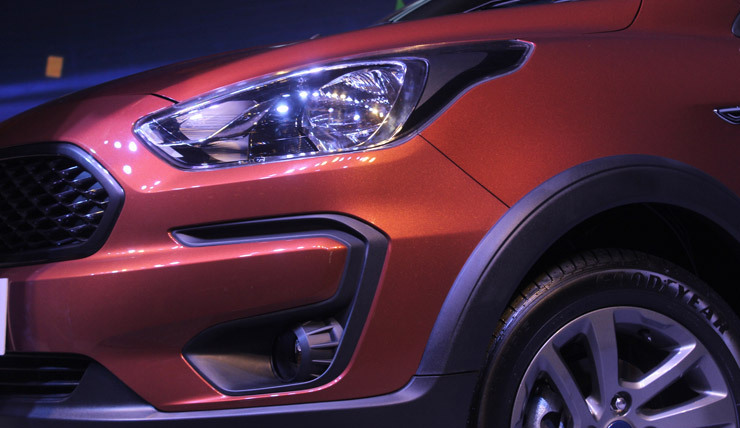 These figures are 10% and 7% higher than the current 1.2 petrol unit that powers the Figo. The new engine will be mated to a new 5-speed gearbox as well. An automatic option has not been confirmed yet. 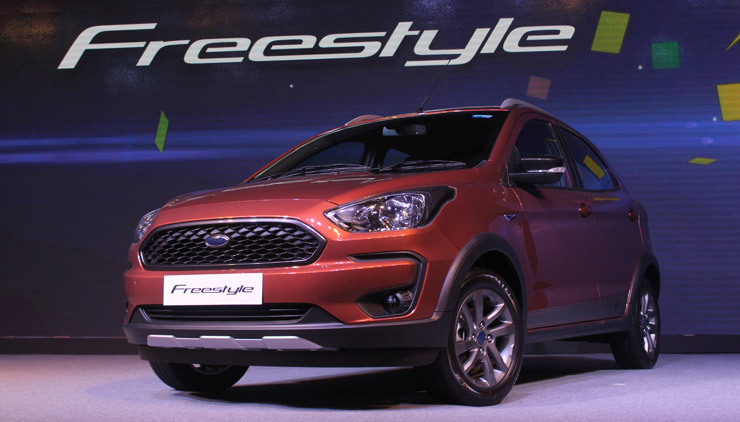 The Freestyle will also come with the same 1.5-litre diesel engine that powers the EcoSport, Figo and Aspire. Safety aids will include as many as 6 airbags with dual being standard along with ABS. The Freestyle will also get TCS (traction control) and ARP (active rollover protection) aids. Ford claims they have made changes to the suspension and the steering. The ride is slightly on the firmer side but aids handling. Likewise, the steering is sharper as well. We reckon the Freestyle will be a hoot to drive. « [Video] Here’s how cops can make your life absolute hell, even if you obey all rules!